The subject area of Modern Languages and Linguistics encompasses research in French and is part of History, Languages and Global Cultures. Staff specialise in contemporary politics, culture, philosophy, literature and society. 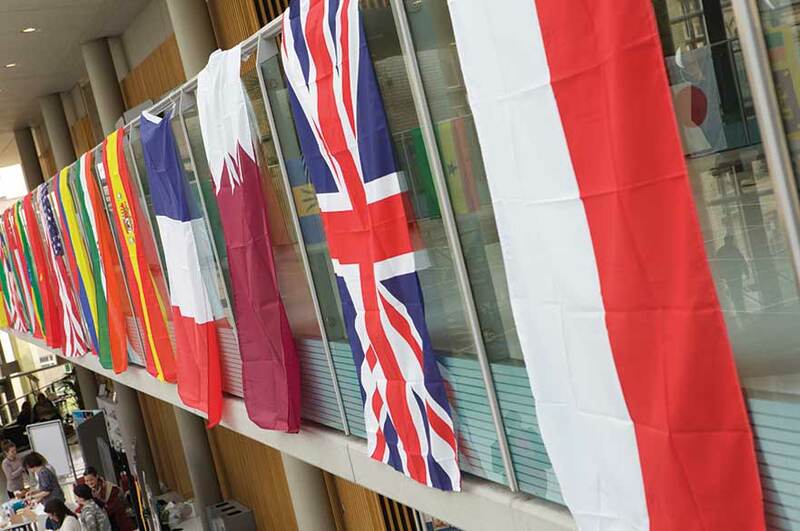 The Modern Languages and Linguistics subject area is part of the department of History, Languages and Global Cultures within the School of Arts and Humanities. Staff specialise in contemporary politics, culture, philosophy, literature and society, with extensive synergies between researchers. Research is organised under the umbrella of the research centre ReFrance: Centre for the Study of Contemporary France. Our research activity extends beyond traditional 'French Studies' parameters, in that it provides a reference point for external engagement with France today – a country grappling with reform, reconsideration, reinvention in balance with tradition, Republican values and resistances. struggles and everyday contexts that inform contemporary France. The centre is founded specifically within the key areas of cultural and socio-political developments, cinema studies and gender studies, yet is strongly informed by interdisciplinarity, seeking new forms of synergy between researchers, disciplines, and outcomes. Research centres on the production of knowledge to better society, and on the processes of cultural change, political debates, social trends and tendencies, activisms, struggles and everyday contexts that inform contemporary France. We have developed a project on ‘The Crisis in France’, which provides a space for continued debate, discussion and collaboration. Our group is strongly informed by multidisciplinarity, seeking new forms of synergy between researchers and disciplines. This can be seen in the political, cultural, sociological and philosophical contributions and responses to the ‘Crisis’ website.